Allotting a specific time or time frame to the infliction of an injury is one of the most frequently requested and most contentious of issues in forensic medicine. Injuries inflicted shortly before examination (both of the living and the dead) show no sign of healing. The healing process depends on several variables, including the site of injury, the force applied, the severity of tissue damage, infection, treatment, etc., and these all make assessment of the age of a wound extremely difficult and inaccurate. Bruises often become more prominent a few hours or even days after infliction because of diffusion of blood closer to the skin surface; on occasion, a recent deep bruise may be mistaken for an older, more superficial lesion. Bruises resolve over a variable period ranging from days to weeks; the larger the bruise, the longer it will take to disappear. The colors of a bruise can include (dependent on the examiner) blue, mauve, purple, brown, green, and yellow, and all tints and hues associated with these. Many bruises exhibit multiple colors. The only sub stantial study that looks at bruise evolution by color showed that a bruise with a yellow color was more than 18 hours old and that red, blue, and purple/ black could occur anytime within 1 hour of bruising to resolution (up to 21 days in the study) (5). Thus, coloration of bruises and the progress and change of color patterns cannot, with the exception of a yellow bruise, which may be considered to be more than 18 hours old, be used to time the injury. It should be emphasized that estimation of bruise age from color photographs is also imprecise and should not be relied on because the color values are not accurate (6). This has recently been confirmed in another study (7) that identified great interobserver variability in color matching both in vivo and in photographic reproductions. Other specific information (e.g., a witnessed blow) is the only way of reliably timing a bruise. Abrasions sustained during life are usually red-brown and exude serum and blood, which hardens to form a scab. This scab organizes over a period of days before detaching to leave a pink, usually intact, surface. 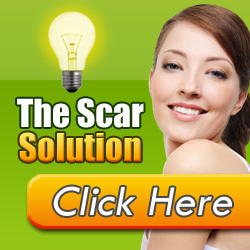 In the absence of medical intervention, lacerations tend to heal with scarring, usually over a period of days or weeks, whereas incisions, the edges of which may be apposed, can heal within a few days, although some may scar significantly.